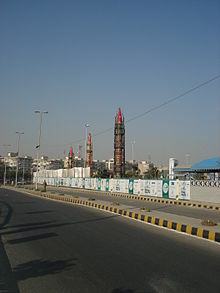 With the death of Osama bin Laden some are advising the US declare victory and bring the troops home from Afghanistan. This perspective holds that Afghanistan represents a bottomless quagmire that the US should use the first face-saving opportunity to exit, “Mission Accomplished”. The Obama administration has been pushing back against this message, recently reaffirming their Af-Pak strategy of US handover in 2014 (though the Post reports the withdrawal timeline may be under consideration again). 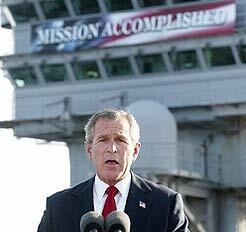 Like Bush’s premature indication of victory in Iraq, proclaiming success in Afghanistan would be the wrong course. The White House should stick to the Af-Pak Strategy already underway, the surge of troops, civilian capacity builders, and diplomatic work with the regional contact group in attempting to steer Afghanistan toward stability. The death of bin Laden, though an important symbolic victory, does not secure US interests in Central and South Asia. The successful US operation against bin Laden means the US has a stronger negotiating position vis-à-vis Afghanistan and Pakistan, not that the geopolitical plates have fundamentally shifted. To me, the plan for keeping these blocks in place is a long term commitment, perhaps including US military bases and thousands of US troops in Afghanistan for some time to come. US-Afghanistan strategic cooperation talks are underway, the outcome will determine the shape of US military presence in Afghanistan beyond the scheduled 2014 handover to Afghan forces. I’d envisage a pattern similar to that of previous US exercises of force – the US still has troops in Germany, Japan, South Korea, etc. Considering how deadly serious nations jockeying for position in Central Asia is, the Great Game has an unfortunate name. That said, the Great Game is not over. Given the presence of nuclear weapons in the region, the stakes are as high as ever.